The 2020 model year is going to be a big one for Ford and its SUVs. First we saw the 2020 Explorer at Detroit’s North American International Auto Show earlier this year, followed by a special event in Greenfield Village for the launch of the 2020 Escape at the end of March. Oh, and the legendary Ford Bronco is about to make a comeback, too—with removable roof and door panels à la Jeep Wrangler. Regarding the brand-new Escape, many people have expressed their disappointment about the nondescript exterior, saying it no longer looks like a Ford SUV, but rather just another crossover in a market full of similar options. It is also clearly designed as an urban vehicle, with a limited appetite for off-road adventures. Luckily, that’s where the “baby Bronco” will step in. Of course, we’ve already told you that Ford is preparing a smaller version of the Bronco, something that will slot between the EcoSport and the Escape, but with a much more rugged appearance and greater capabilities. At the 2020 Escape event in Michigan, Ford’s executive vice president of product development and purchasing, Hau Thai-Tang, said the unnamed SUV will look significantly different from the Escape. He hinted at more ground clearance, a somewhat taller ride height, wider tracks and a boxier silhouette including a more upright windshield and rear liftgate. From a technical standpoint, however, the two vehicles will use the same platform and will likely be built at the same plant in Louisville, Kentucky. No word yet on powertrain options for the off-road model, though. 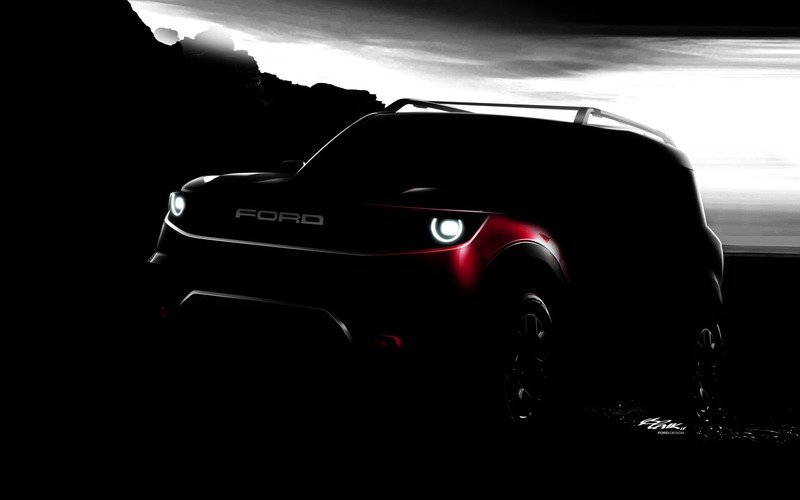 Featuring a standard 1.5-litre turbocharged three-cylinder engine, the new 2020 Escape is set to hit the market in the fall of 2019, and Thai-Tang confirmed that the baby Bronco will join the Ford lineup about six months later, meaning in the spring of next year. If you’re looking for a small, capable SUV that stands out from the pack, this one is probably worth waiting for.